I can’t believe it. Finally! We have lift off, we have red velvet cake. 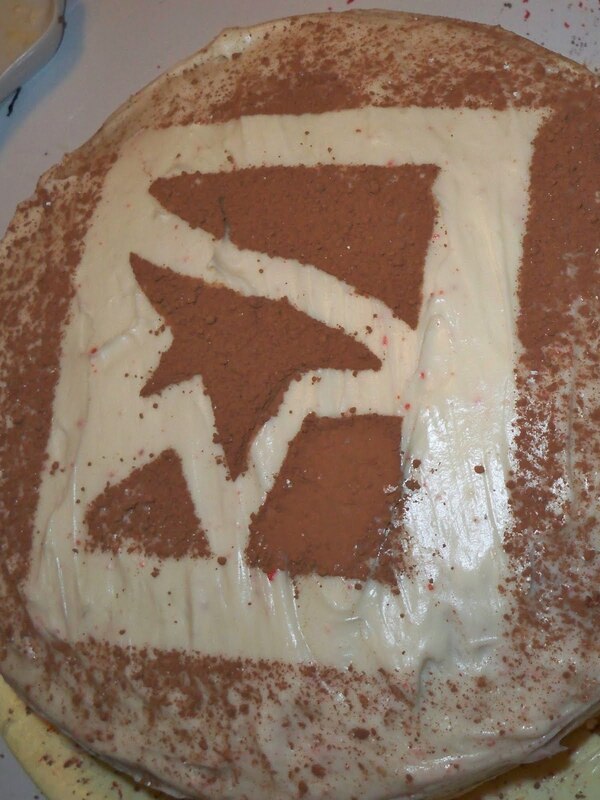 Now, there were a few tricks I wanted to try in making this cake. One of them being the addition of champagne to the recipe, which is not uncommon in cakes and breads. However, I was laid off, so buying champagne was not a luxury I, literally, could afford. The household has taken a heavy hit, but me and my boyfriend are still going strong. We still need love from friends and family, something we have had no short supply of. In fact, our cup runneth over with all the support we’ve been getting. We really owe you all one. A dusting of cocoa powder is a good sub if you don’t have an red powder on hand. 1 cup buttermilk, room temp. First step: Start your engines! Preheat your oven to 350 (F). This recipe asks for 3 9×1 1/2 inch round cake pans, but I had 2 and the cake was unchanged. Grease ’em up! Next, assemble your dry stuff. 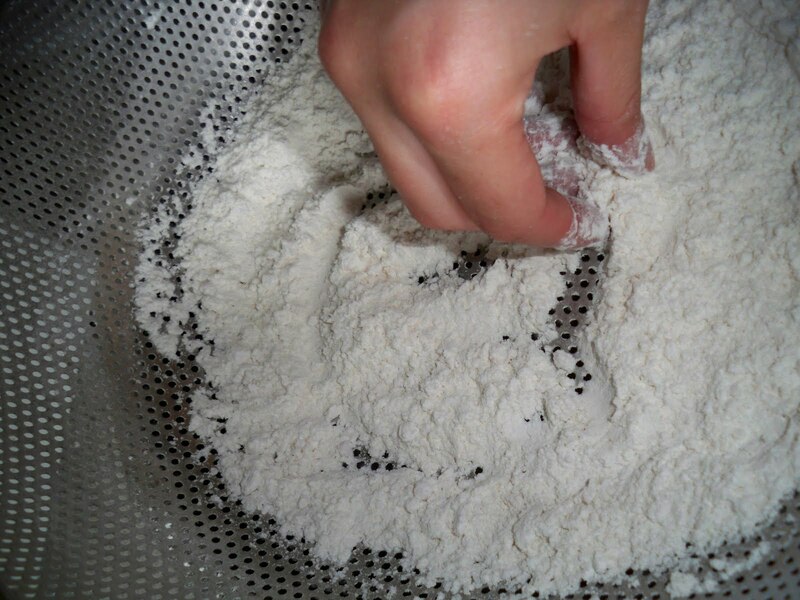 In a large bowl, sift together the flour, sugar, baking soda, salt, and cocoa powder. I love sifting dry ingredients. I don’t bake that often, but when I do, this is my favorite step. Next, it’s time to get a little wet. In another large bowl, assemble your wet ingredients! 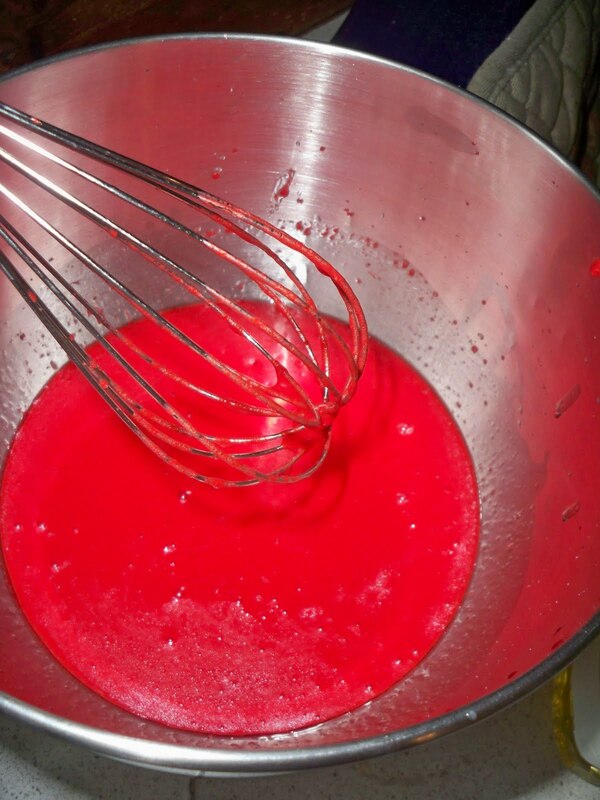 Whisk the oil, buttermilk, eggs, food coloring, vinegar, and vanilla. Here’s where the hand-me-down standing mixer comes in – thank you, mom! Start incorporating your dry ingredients to the wet stuff. You’re looking to get everything combined into a smooth batter, and then STOP! Over mixing and over beating is not healthy for a fledgling cake. It looks like Dexter Morgan made this cake. Next, evenly distribute your batter to your pans, and put those puppies in the oven for 30 minutes, or until an inserted toothpick resurfaces clean. 15 minutes in, you’ll want to rotate your pans. When time is up, take out your pans, run a knife along the edge – between the cake and the pan wall – and then invert the cake onto a plate. Now, flip that onto a cooling rack, or in my lack-of-supplies example… another plate. Let your cakes cool completely. 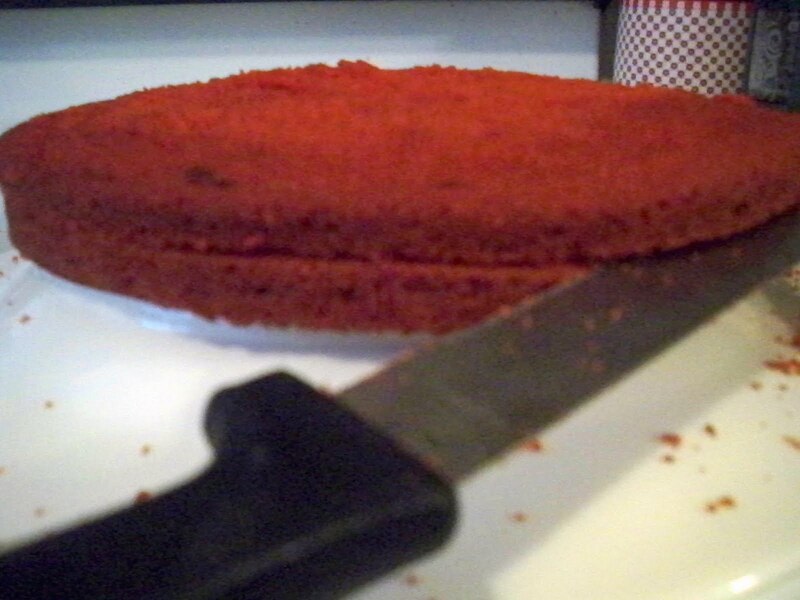 Once my cakes cooled, I inserted a knife on the side, and started turning the cake. This split my two cakes into four. 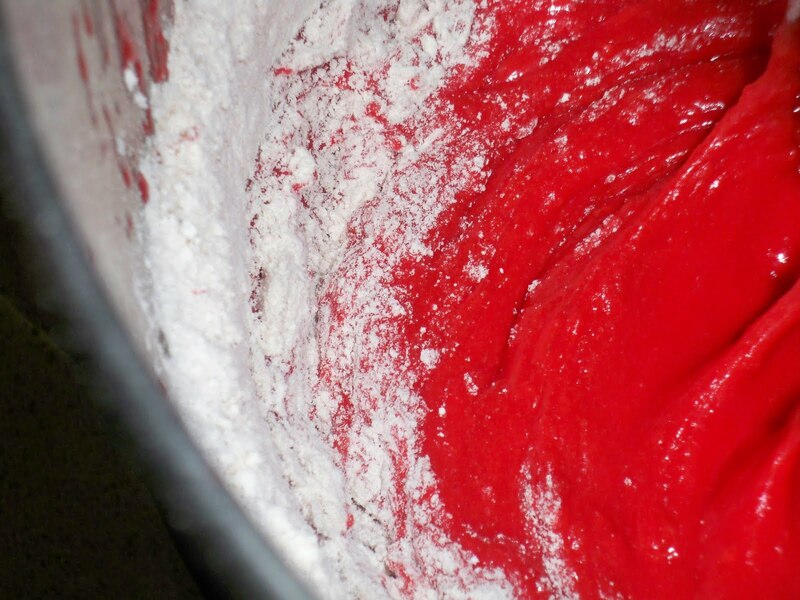 You can use a standing mixer with a paddle attachment for this, or you can used a hand-held electric mixer. I went for the second, seeing as it was a b-day present from my boyfriend’s mom. It’s awesome! In a large bowl, mix the cream cheese, sifted sugar, and butter on a low speed until combined. Increase the speed to high, and mix until light and fluffy. This will take about 5 minutes. Now, reduce the speed of the mixer to low. Add the vanilla extract, and raise the speed back up to high and mix briefly, or until fluffy again. Store in the refrigerator until the frosting is a bit stiff, and then frost away. You’re gonna get messy, just be prepared! Once you have finished frosting your cake, slice, serve, and go, “Mmmmm!” It’s that simple. You can really tell a cook went at this cake, not a baker. It’s not my strongest area of expertise. With a little practice, I know I can have a more delicate touch with future baking experiments. And hey, so can you! Stay tuned for the next post, which will hopefully come much sooner than this one did. I will be checking out 2009’s “Game of the Year” Batman: Arkham Asylum.